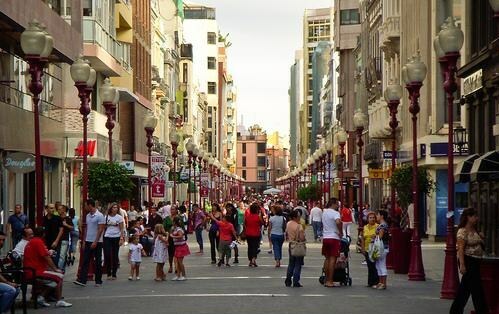 Most people who go shopping in Gran Canaria, usually ends up in the shopping street Mesa y Lopez in the middle of town, the old town pedestrian Calle Triana, or at one of the many shopping centers and markets. There are also several hidden tresures outside the main tourist areas, where you can get some great shopping and experience, something completely different. 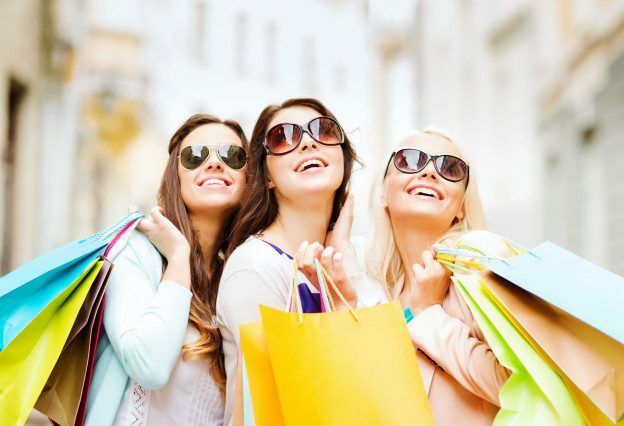 Summary of good shopping streets, shopping centers and markets in Gran Canaria. 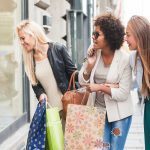 All you need to know about shopping in Gran Canaria in Spain. 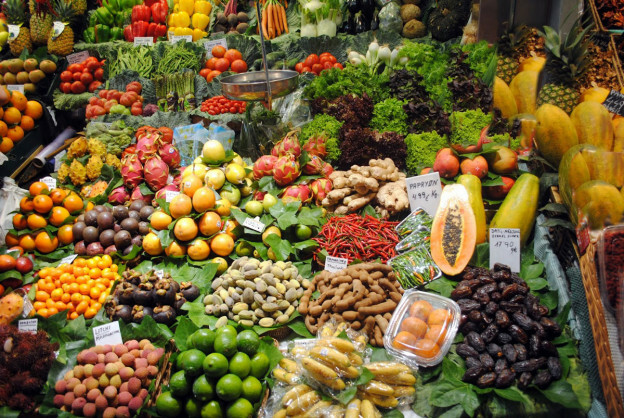 The price level of goods is higher in the south than in the north of Gran Canaria. This is because there are many more tourists in the southern regions, especially in Arguineguin, Puerto Rico, Maspalomas and Playa del Ingles. Gran Canaria as the other Canary Islands maintained its status as free trade zone, and therefore lower taxes and charges on so-called “luxury goods” such as alcohol, tobacco, perfumes, cosmetics. This means that these goods are much cheaper to shop in Gran Canaria than elsewhere in Europe. Triana street in Las Palmas, Calle Mayor de Triana, a lively pedestrian street that stretches from Vegueta and over a kilometer north. Many fashion stores have moved to the more modern shopping street Avenida Mesa y Lopez, but it lacks much of the charm that Triana offers. Do you go to Triana street you will see beautiful historic buildings with small specialty shops in the side streets. Here’s fashion brands such as Zara, Benetton, Marks and Spencer, and many many more. The street has a relaxed atmosphere, and in the side streets one can find more interesting specialty stores as well as cafes and restaurants. Around Parque Santa Catalina in Las Palmas, which is more a plaza than a park, is a variety of shops selling everything of electronics, including cameras, gadgets, games and the like. 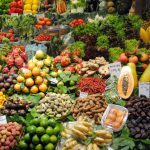 In the old city of Las Palmas is the food market “El Mercado Publico de Vegueta” who have lived here since 1854. 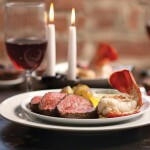 The place offers vegetables, fruits, fresh fish and meat mm. 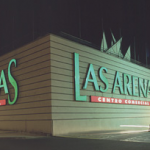 If you prefer to go to a flea market, it is recommended to visit the park “Parque Blanco” at the port of Las Palmas. Every Sunday. 9:00 a.m. to 2:00 p.m. find flea market place and has sales of everything between heaven and earth. The streets Calle Tomás Miller, Calle Luis Morote and Calle Alfredo L. Jones were all part of the original shopping district in Las Palmas, before shopping centers acquired. In some of these easy chaotic and crowded bazaar-like shops it is still possible to bargain. 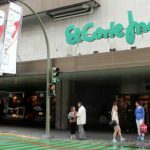 The wide avenue Mesa y López is the city’s main artery, and here lies the famous Spanish department store chain El Corte Inglés. In this street are also many trendy shoe shops and Spanish high street brands as Caramelo and Massimo Dutti. 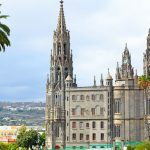 This entry was posted in Gran Canaria, Las Palmas and tagged centers, gran canaria, Markets, shopping, Spain, streets on 15th October 2016 by webmaster.